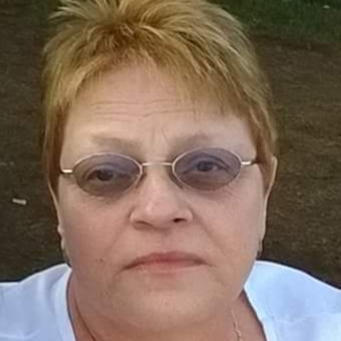 Rose Marie Waldrop, 64, of Clarklake, Mich., passed away suddenly on Friday, October 12, 2018. Rose was born to Fred and Virgie Harris on August 20, 1954, in Middlesboro, Kentucky. She married the love of her life Dennis on September 19, 1970. They started their lives together in Detroit before moving to Clarklake in 1981 where they raised three daughters. Rose is survived by Dennis, her loving husband of 48 years; their three children, Amy Vanderpool, Julie Truex, Kelly Weed (Jacob). She also leaves to cherish her memory her six grandchildren, Zachary, Piper, Presley, Gavin, Parker (Meranda), and Sabrina (Carly); sisters, Virginia Baker (Raymond), and Geri Roark (Paul); and brother, Bob Harris (Edie). Her children remember her as an amazing mother, grandmother, and wife to their dad, who was always willing to offer words of comfort and encouragement, and never afraid to speak her mind or show her quick-witted sense of humor. She also leaves behind Dennis’ brothers, sisters, and their families, as well as many beloved nieces, nephews, cousins, and friends. She was affectionately nicknamed Doodle by her family in honor of her love to doodle drawings. She was preceded in death by Virgie Harris (Mother), Fred Harris (Father), and JoAnne Harris (sister). Rose was a Pharmacy Tech at Weatherwax Pharmacy in Brooklyn until she retired in 2016. Throughout her career, she enjoyed working with her co-workers and interacting with the people in the community. Before she started her career at Weatherwax, she was employed at Miller Elementary in the kitchen, where she could keep one eye on her kids, and one eye on the food. A celebration of life is scheduled for Saturday, October 27, 2018, at noon at Brown-Van Hemert Funeral Home in Addison, Mich. A reception dinner will follow at Steaks Eatery in Vandercook Lake, Mich. Send condolences to the family atwww.brownvanhemert.com.